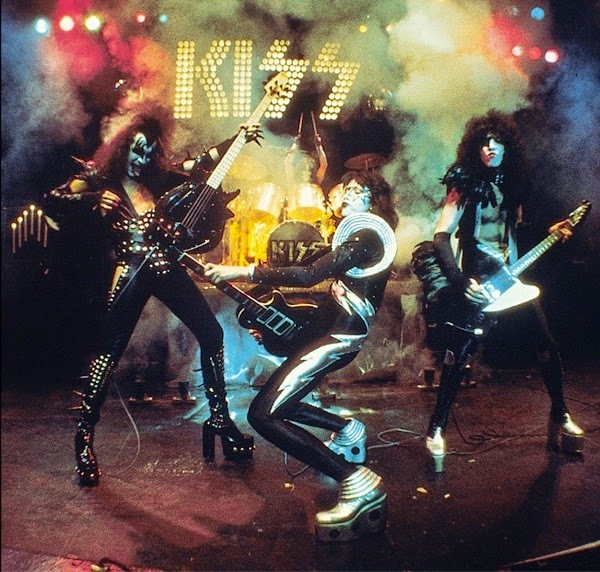 hennemusic hennemusic: KISS: Ace Frehley to hire Gene Simmons for next album? KISS: Ace Frehley to hire Gene Simmons for next album? Original KISS guitarist Ace Frehley will release his new solo album, “Space Invader”, on August 19th in North America (Aug 29 in Europe), but the rocker is already working on his next project and says he may hire former bandmate Gene Simmons to appear on the record. "I was thinking of asking Gene to play bass on one track, and I'm not going to say which one. That'll be a surprise," Ace told VH1 Radio Network's Dave Basner. Frehley isn’t sure if Simmons would be up to the challenge or if he’d be allowed to appear on the album. "I think he'd consider it," said Ace. "I don't know if he'd do it. Maybe Paul [Stanley] won't let him. Who knows?" The guitarist recently revealed that his next album, which will feature covers and remixes, will be an all-star affair. Simmons and Stanley prevented a reunion and live performance of the original band at the event over a disagreement with Rock Hall organizers, who insisted that only the group’s original lineup be inducted, while the pair wanted all members from their 40-year history included.